This will be presented on two matching C7 Yamaha Grand pianos at the Machine Shop. 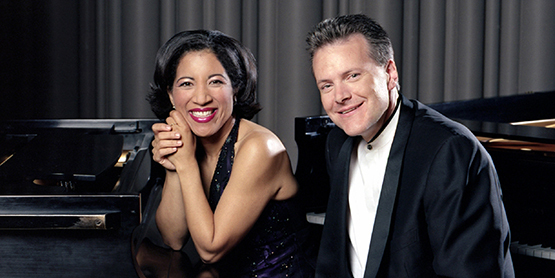 Duo Turgeon (Edward Turgeon & Anne Louise-Turgeon) are instructors at Algoma University and the Algoma Conservatory of Music and Ed Turgeon is the chair of the music department at Algoma University. Duo Turgeon was the first place winner in two of the world’s top international piano competitions for two pianos – the Murray Dranoff International and the International Schubert Competition. The Turgeons can be heard on seven CDs and both hold Doctorates from Yale University. Anne Turgeon was also presented on our series as a soloist with Sinfonia Toronto in 2016 with the Rachmaninoff piano concerto No. 2 and will be performing with them again this season in Toronto.